Register for the WAFC program now! Complete these classes with a grade of "C" or better to earn your certificate. Course material requirements are subject to change. Please confirm required textbook and materials using the UCC Online Bookstore before ordering. This course analyzes the mutual relationships of employees, customers, and others outside the work place. Studies and provides critical thinking about teamwork, coaching, counseling, and mutual respect, personal integrity, and acceptance of others. Students gain insight into the human and organizational factors that influence the workplace beyond the traditionally measured outcomes of performance, production, and profitability. The textbook is available at the UCC Bookstore. You may use online sites to purchase the book however; it is your responsibility to ensure that you obtain the same version of the text as required for class. Note: The Amazon link and other sites may include the CourseMate Access card. There is no price difference, just ensure that you get the 4th/5th edition. Only the textbook is required – you do not need the optional access card. BA231 is a computer class with very precise software requirements. Students will need the personal computer version of Microsoft Word, Excel, and PowerPoint. You will need a computer with high speed internet access in order to be successful in the course. This course is not designed to be completed using a tablet or smart phone options. Option 1: Already have Microsoft Office Suite installed? Students who currently have Microsoft Office Suite: Word, Excel, and PowerPoint installed with a version of Office 2016 or Office 365 may use that software for the class. This option works for both Windows and MAC computers. Note: There are no technical support options available for this free download. If you are unable to make the download work, you need to use Option 3 below. Students may purchase a personal copy of the software from the UCC Online Bookstore. The software is available for about $55 and is available for both Windows and Mac. Use the link provided or go to the UCC Online Bookstore and open the Software tab. Under this option you actually own the software, which is worth several hundreds of dollars if purchased at a store. This course covers strategies in effective business communication. Prerequisite: WR 115 or equivalent. 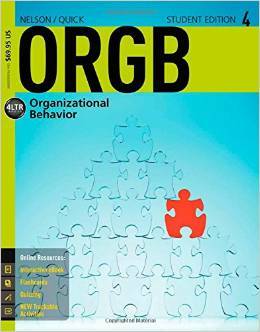 The textbook for this class is an Open Educational Resources (OER) book that is provided with the Canvas Distance Learning platform. You do not need to purchase a textbook for this class. You will find links to the digital textbook in the Canvas class shell. This is a basic course in management with emphasis on the application of sound managerial practices and techniques. Managerial functions including planning, organizing, leading, and controlling are studied in the framework of this course. Covers the basic components of marketing such as consumer behavior, marketing research, production, distribution, promotion and price planning. Includes current marketing emphasis on customer service and global marketing. Case studies, videos, and guest speakers enhance student learning. This course prepares students for real issues and current challenges in human resource management. Problem-solving and decision-making skills are developed and emphasized. NOTE: This course was previously listed as BA160. Students that completed BA160 do not need to take BA233. Gain an understanding of accounting and how it can be used to make financial decisions. Topics include: calculating interest and payroll, measuring and reporting data, understanding financial systems, using computer applications, and performing cost analysis. Designed to acquaint students with the nature and scope of retailing. Learn about the history of retailing, managing retail operations, including financial planning, merchandise buying and handling, as well as store design and layout.